Lower Cost Car Hire in Kenya - Compare and book cheaper SUV, MPV & Minibus rental in Nairobi and Mombasa. Cheaper car hire in Kenya, but still good reliable, as well great savings on SUV and minivans. Avis and Europcar are the main companies we can use, who help you save money, in either Nairobi or Mombasa. Our partners discounted prices, come with all the expected benefits of insurance, mileage, breakdown and damage waiver included. Lovely, regardless of weather, by the beach, on safari or in the cooler mountains. Go to the Bureau de Change and get your Kenyan Shillings when you go to the east coast of Africa, above Tanzania. Kenyans speak Swahili and English. 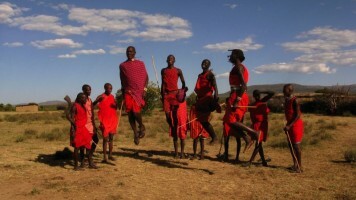 Kenya is home to the world famous people of the Masai Mara. Boing boing! If outside of Kenya, then need to add +254 to the Kenyan number you are calling. Popular exports are tea and coffee. Kenya offers the tourist a lot of choice. Having landed at Nairobi or Mombassa, you will spend your time between going on safari and lying on the white sand beaches, that are lapped by the Indian Ocean. Nairobi International is the main hub and Mombasa Airport gets a lot of charters landings, then most people head for the Mala Mala for a good safari and get a balloon trip over the animals. Spend the night at Treetops, where Princess Elizabeth learned she would become Queen. Go and gaze in awe at the Great Rift Valley. 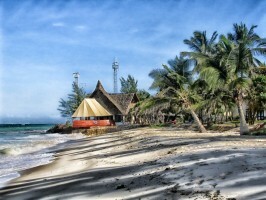 Head for the white sandy beaches of Mombasa. Mount Kenya, but then then Kilimanjaro is in the next door country. Lake Victoria in the east of the country. Kenya became a republic in 1964, having gained independence from the British a year earlier. What Famous People are there from here? :- Barack Obama. Kind of. Well, his dad was. Topography and Geography:- Plain and simple. Plains, mountains and beaches. Major Towns & Cities:- The capital is Nairobi, with Mombasa also popular. Did you Know? :- The quickest way to get from the capital Nairobi to Mombasa on the coast is by plane. However, if got the time, take the train and see the open savannah teaming with wild life. 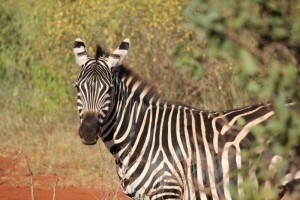 Kenya driving costs reduced when book through us. Kenyan motoring made easier here. Compare our suppliers for Nairobi. Quaking in your boots? Well it would not be surprising, as Kenya has the most Quakers of anywhere. What Sports Are Played:- It must be football. Religion:- The majority of Kenyans adhere to the Christian faith, with twice as many Protestants as there are Catholics. Population? :- Getting close to forty five million Kenyans. Book with confidence with international companies. Free amendments allowed.